Does Klout really measure influence and should marketers pay attention? 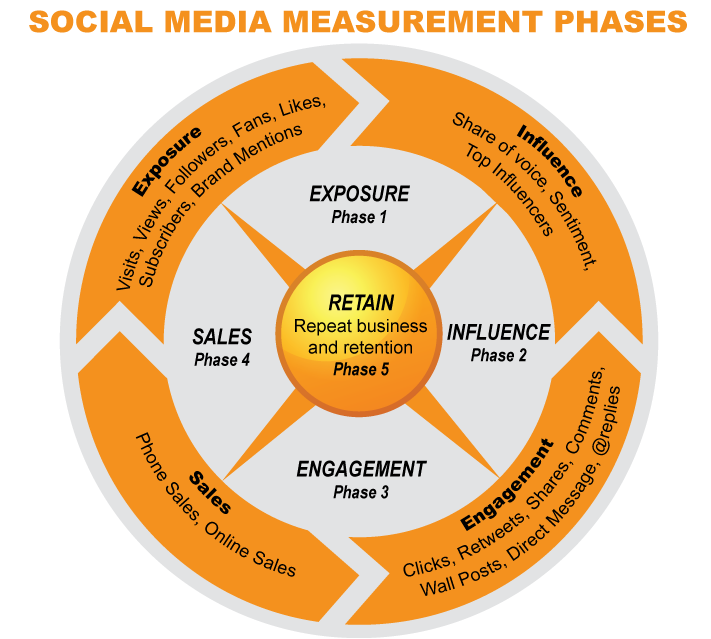 There are a few companies specializing in measuring social media. Hubspot integrates social media in its software. Google now has a social tracker and Facebook’s analytics is much improved. The most simple and direct way that you can measure social media is to create marketing campaigns with landing pages and track their successes with sales. Ultimately, it’s always about sales isn’t it? In 2008, Klout launched its website and introduced the “Measurement of Influence” to social media. By linking your social networks to Klout, its algorithm would generate a score. How this algorithm works is unknown and it is always changing/evolving. Klout is growing at a fast rate and because of its scorecard; many marketers and businesses are advocates. I have heard on several occasions that employers will not consider marketers without high scores. People’s jobs are now dependent on Klout scores. Hotels use Klout to determine who gets the better rooms with the hope that the customer will publish positive feedback. There is much debate about the validity of the “Influence Measurement.” Many are believers and continue to reach for the perfect score of 100. Justin Bieber was the only person to reach 100 but with the recent algorithm change on 8/14/12 his score went down to 91. Obama is now the leader with the highest score of 99. While others disregard the Klout score entirely. Who is right? I believe the correct answer lies somewhere in-between. People generally get too excited about the next sensation and lose focus and perspective. They are generally misinformed or take things at face value. Watch this incredible video about a CEO directing a marketing manager to forget about their marketing plans and get their Klout score up. Every marketer should watch this funny video called “CEO Wants Klout! Days of Our Social Biz.” The video is so rooted in today’s reality; any marketer would find it terrifying. True Reach: How many people you influence – This is Klouts definition – “Your True Reach is the number of people you influence. We filter out spam and bots and focus on the people who are acting on your content. When you post a message, these people tend to respond or share it.” My research indicates that many people believe the more followers, fans, likes etc., that you have the better your score. Does Klout know how you obtained these followers, fans, likes etc.? The problem is that in the social media community, it is customary to follow someone that follows you. There are programs to help you generate mass followings. Essentially, if I follow 30,000 people, chances are that I will have 26,000 or more followers without doing anything. These people do not care about me and will not “retweet”, or buy my product or service. Additionally, there are services that will give you thousands of followers for as little as $5.00. Recently Mitt Romney has been accused of purchasing Twitter followers. In the social media community having 30,000 followers demonstrates that you have influence. Not having everyone on the same playing field means that the Klout curve is effected and not accurate. Keep in mind that these 30,000 followers will mess up your demographics and will make your marketing strategies more difficult to plan. Consequently, having an organic (natural) growth process is much more beneficial to you, but your perception and presumably your Klout score will be effected negatively. In Klouts defense, they do state that they measure people acting on your content. However, I have read conflicting messages about this point. The problem is that everyone is trying to figure how Klout works from their own experiences. Klout seems to be on the correct path but I need more data to confirm its accuracy. Amplification: How much you influence them – This is Klouts definition – “Your Amplification is how much you influence people. When you post a message, how many people respond to it or spread it further? If people often act upon your content you have a high Amplification score.” This sounds similar to True Reach doesn’t it? I would classify this as phase 3 Engagement – Your clicks, retweets, shares, @replies, direct messages, wall posts and comments. You can’t fake this and that is great but Klout does not measure all of your social pages or networks. I will elaborate later. Network Impact: The influence of your network – This is Klouts definition – “Your Network indicates the influence of the people in your True Reach. How often do top Influencers share and respond to your content? When they do so, they are increasing your Network score.” Is it your Klout network or all the other social media sites combined? This is unclear to me. You are invited to explain Klouts definitions to me. It sounds like common sense at first but once you start thinking about it your brain falls into a black hole? I wanted to figure things out myself and started using Klout but its imperfections became apparent quickly. I have been using Twitter and other social media outlets to stay up on technology and news. My Google+ page for some reason is not being calculated. I have 2100 “Likes” on Facebook and do most of my Facebook communications on my business page. I’m not on it every minute but I do OK. Would you believe, nothing from this page is calculated in my score? Klout will let you link to the page but will not calculate it yet. I contacted them about my Facebook page and they told me they are working on getting business pages calculated. From my observation my score of 42 is purely from my Twitter, personal Facebook and LinkedIn accounts only. My other accounts are not being ranked. I was consistently around 25 for many months but today saw another jump to 42. The reason is because yesterday Klout reconfigured / improved their algorithm. Now my history is not accurate. It is showing that I have had 42 range for the past month. I don’t understand why when today should be the first day. Overall the more active you are, the higher your score will be. Should I take a leap of faith with my score? I do not want to do that when determining my marketing successes. Especially, when the score is questionable and only measures one aspect that I’m interested in. Reliability is also in question. Several times, my score dropped by 20 points for no reason and then returned a few days later. There are also the famous perks, which make me want to question the scores. I could be paranoid but it seems everyone is trying to get a high score just for the free perks. The question is for what purpose does this service exist and whom does it serve? Here is Klout’s definition for their perks. So let’s pretend my company has a perfect score and I am the ultimate influencer. Surely, that should help my sales or leads shouldn’t it? Well the answer to that is no. It can help, of course, but marketing is so much more complex. Creativity, psychology, economics, design, positioning, copywriting, exposure and most importantly, product and or service, all account for sales. Look to the 5 phases for a reality check. Let’s not lose perspective. Justin Bieber has influence but to who or what? 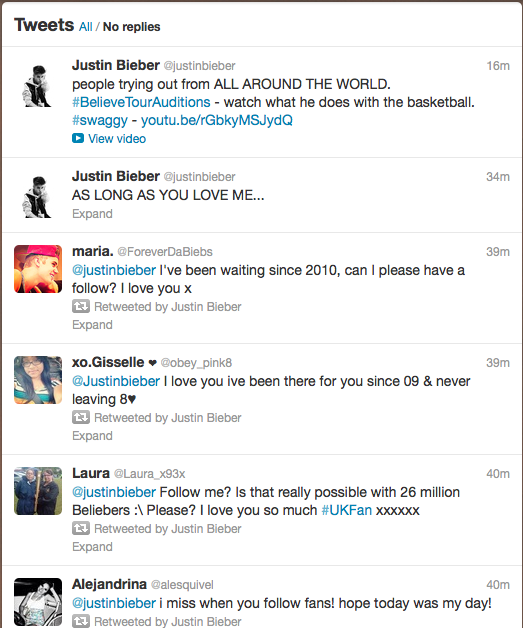 Look at Justin’s tweets to his 26 million followers. He is, without a doubt, influential to his fans considering the age demographic he seeks for his business type. I would say his Klout score is pretty accurate but most of us do not fall into this category. The more topics in which people tag you as influential, the higher your score will be in Klout. I have to admit, I do not work my Klout network to try and grow it. Hey if everyone tags me as influential in Klout, I will reciprocate. No, I won’t but many others will. Isn’t that where the problem lies? I think it’s important to know where the social media world is going and Klout is probably here to stay. I only hope that Klout improves its calculations and algorithm. Some of the statistics are good and it would be exciting to see progress with Klout statistics. I will continue to monitor Klout occasionally and probably get more involved in the future. In the end, yesterdays update shows promise but I give Klout a score of 2 out of 5 stars until it adds more networks, includes business pages, becomes more reliable and generally becomes more established. All this yo-yo rankings and evolution demonstrates to me they are still in beta mode. Klout needs to better define and educate its users on how to use the program and how it works. Show me how Klout falls into the 5 social media measurements. Better yet break the score down so I care more about it. You only need to look at their Tweeter feed to see they are not focusing on education. If they did they would provide credibility to their rankings. Don’t make me do all the work because I do not have the time. Stop putting so much focus on the perks. Are they a business about the perks or a social ranking company? There is too much faith and misinformation to rely on it. Until then, I recommend that you use it with the caveat that you keep your scores in perspective. Please share your thoughts. I don’t think buying followers are worth it. These people won’t communicate or share things with you. In the end its just a number.